11" x 14" Oil on Canvas. 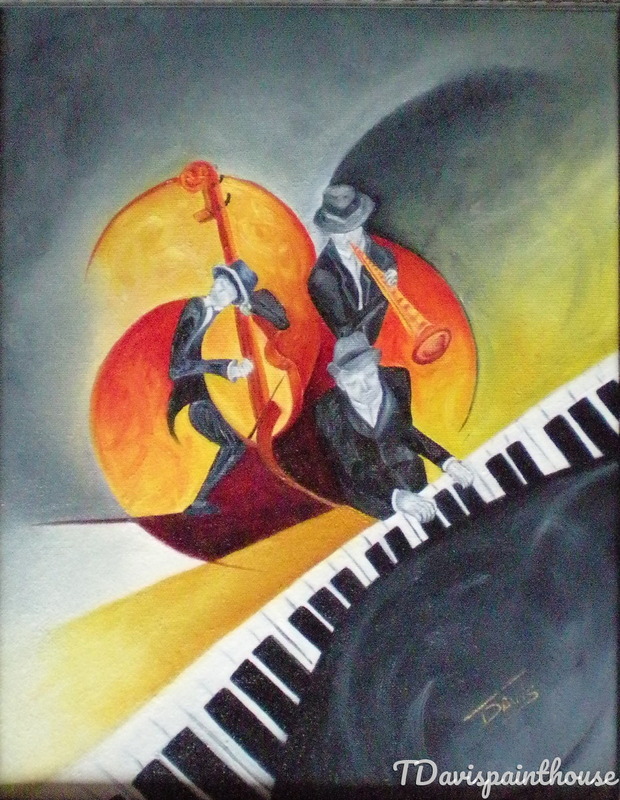 Three Musicians in an abstract, colorful background design to force the viewer to hear the music. Red, Orange, Yellow black and grey.